We can also provide smaller memorials, Urns and jewellery to remember your loved ones, with lots of unique ways to keep your loved one close by. Here is a selection of our full size urns, mini walnut and glass keepsakes and a wooden heart keepsake. If you are looking for something different we have some beautiful candle keepsakes which can hold a small amount of ashes. Our Heart and Mini Urn keepsakes are a lovely decorative way to remember a loved one. 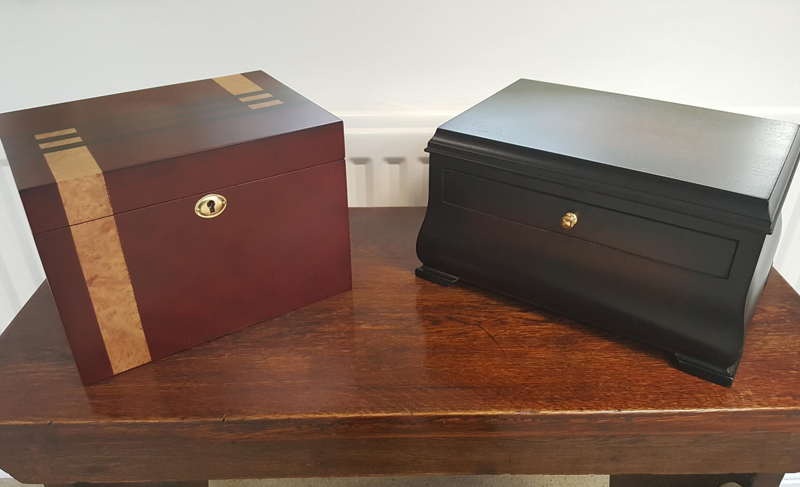 Our beautiful memorial boxes allow you to hold your loved ones ashes and keep some of your memories inside with them.